Pierre-Olivier Allaz joined LALIVE in 2006. His main areas of practice are Swiss commercial and corporate law, debt and insolvency proceedings, domestic litigation and labour law. He advises parties to international contracts and has represented clients before the Geneva Courts and the Swiss Federal Supreme Court, including in arbitration-related matters. Pierre-Olivier Allaz is an alternate judge at the Tribunal de première instance, Geneva. He is also a member of the Geneva Business Law Association and the Swiss Arbitration Association (ASA). 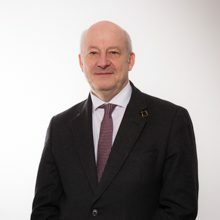 Before joining LALIVE, Pierre-Olivier Allaz was a partner with Cabinet Mayor in Geneva (2002-2006) and an associate at Combe & de Senarclens in Geneva (1990-2001). He holds a Master of Laws and a Master in Political Sciences (Business Economy branch) from the University of Geneva (1986 and 1981, respectively).